The Picture Room is an exhibition of prints at paintings at The Old Coastguard in Mousehole. The exhibition opens with a preview evening on 29 April, and is then open to public from 30 April until 2 July. “The Picture Room” exhibition consists of around 30 pieces, with limited edition prints, paintings and ceramics by four distinguished artists: Michael Porter, Naomi Frears, Mark Surridge, and Jack Doherty. It is The Old Coastguard’s first collaboration with the renowned Newlyn Art Gallery and The Exchange. 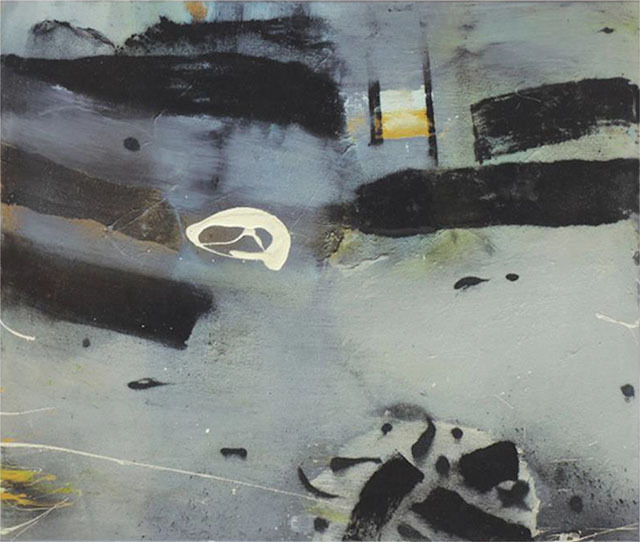 The Newlyn Art Gallery and The Exchange in Penzance offer a wide and varied programme of exhibitions of national and international contemporary art, most recently a retrospective of work by Terry Frost. The artwork featured in “The Picture Room” will provide a fantastic backdrop for The Old Coastguard’s guests in the hotel and restaurant, and all items will be for sale with prices ranging from £300 to £9500. Michael Porter was born in Derbyshire in 1948. He attended Nottingham College of Art at the age of 15 before going on to Derby College of Art, and completing both undergraduate and post-graduate studies at Chelsea School of Art. He finished his academic training as Fellow in Fine Art at Gloucestershire College of Art in 1973. From 1974 – 1997 he worked in Hackney, lecturing in most major art schools in and out of London, before moving to Cornwall. Porter’s landscapes are based from his immediate surroundings using the natural characteristics of paint. His work has been regularly exhibited in museums and contemporary galleries in London, Europe and America and he has been the recipient of major awards including The National Gallery Artist in Residence, The Lorne Award London University, The Odin Award RWA, an Honorary Doctorate from Derby University and more recently Honorary Fellow of University College Falmouth. Seaweed Series 02-12-14 (120cm x 110cm). Acrylic, gouache and oil. Naomi Frears was born in 1963 in Leicestershire. She studied at the Sunderland College of Art between 1982 and 1986 where she was awarded the Printmaking Prize. She is a member of the Newlyn Society of Artists and is based in the Porthmeor Studios. Frears is a regular collaborator with Tate St Ives Learning Team and her work is featured regularly on the London Review of Books. 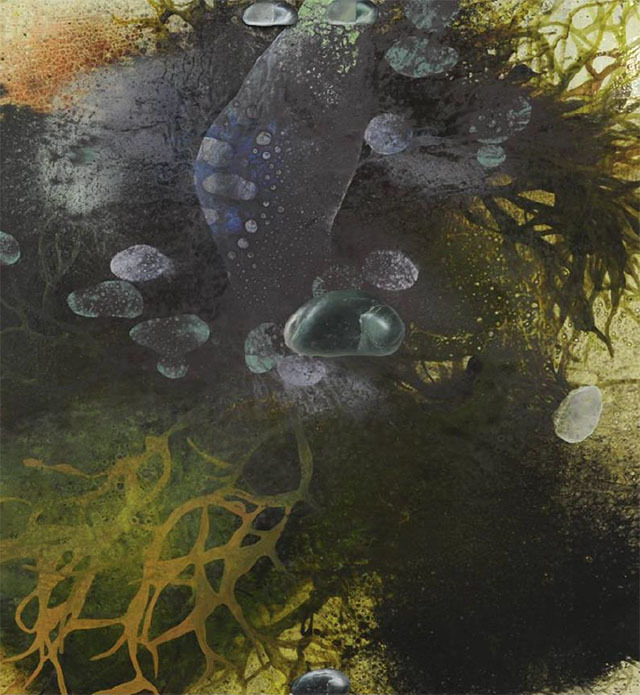 Frears has exhibited at Tate St Ives as well as Beaux Arts Bath and her work can be seen at Beaux Arts London and in the Wilson Collection, University College Falmouth, Pallant House, Falmouth Art Gallery and the offices of Slaughter and May. Good Morning (92cm x 153cm). Oil on canvas. Mark Surridge, also born in 1963, is a senior lecturer at Falmouth Art School. He studied at Maidstone College of Art before moving to Cornwall after which he attended University College Falmouth. In 1997 he became a member of the Newlyn Society of Artists. Surridge’s works are influenced by the landscape around him and the elemental forces of nature. His works are large-scale paintings, construction paintings, sculpture, installation and print making. He has exhibited at The Tate St Ives, the Royal Academy Summer Exhibition, Hunting Art Prize and Discerning Eye Open, London where he was a prize winner in 2015. 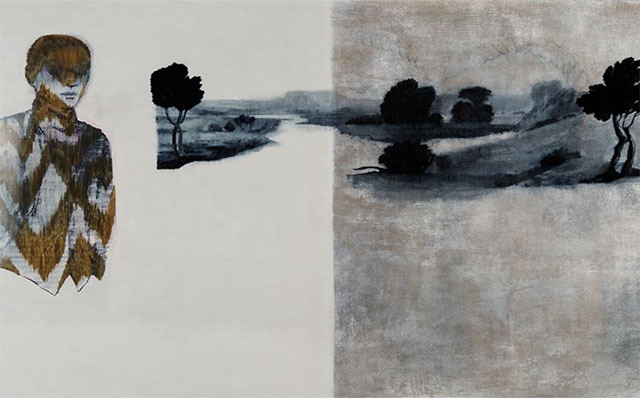 Xenolith Grey (100cm x 120cm). Oil and illminite on canvas. Jack Doherty Studied at the Ulster College of Art and Design. He has shown his work both nationally and internationally including solo exhibitions in Japan, France and the USA, and is an elected fellow of the Craft Potters Association and Chair of the committee organising Ceramic Art London. 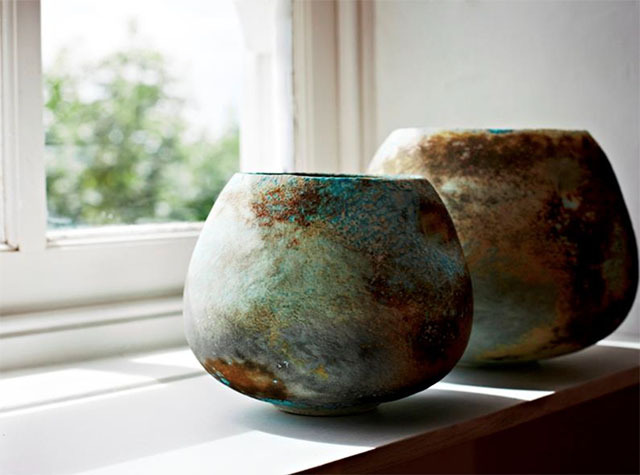 Doherty was Lead Potter and Creative Director at the Leach Pottery from 2008-2013 and is currently the consultant editor of Ceramic Review Magazine. Working independently from his studio in Mousehole, he fires his soda kiln at the Newlyn School of Art. Soda fired porcelain vessels (approx 10cm-25cm). For exhibition enquiries phone 01736 731222.